Hey guys! 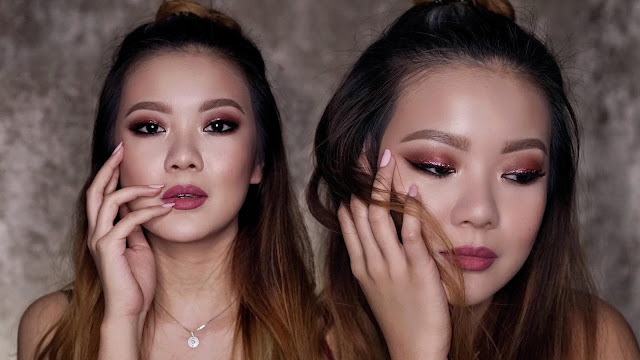 I finally have another tutorial for you guys - a beautiful brown smoky eye that's really easy to do on monolids and hooded eyelids because it creates its own gradient and doesn't rely on the contours of the eye to look pretty. This is also a first impressions makeup look - all the products that I use in this video are brand new to me, with the exception of the glitter liner (I threw that in to make the look more interesting, plus it goes so well with the brown eyeshadow! ).